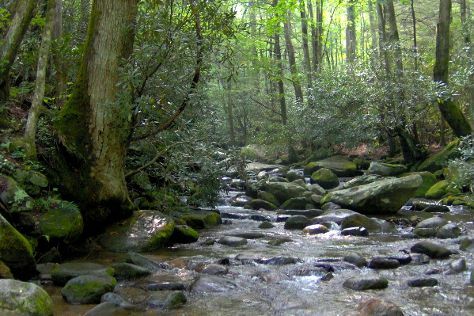 Get outdoors at Roaring Fork and Mount LeConte. Get some historical perspective at Biltmore Estate and Little Greenbrier School. Venture out of the city with trips to Great Smoky Mountains National Park (Cades Cove, Clingmans Dome, & more) and Basilica of Saint Lawrence (in Asheville). And it doesn't end there: steep yourself in history at The Old Mill, cruise along Newfound Gap Road, tour the pleasant surroundings at Alum Cave Trail, and brush up on your knowledge of spirits at Sugarlands Distilling Company. To find photos, where to stay, traveler tips, and other tourist information, use the Gatlinburg trip planner. In November, daytime highs in Gatlinburg are 60°F, while nighttime lows are 39°F. Wrap up your sightseeing on the 16th (Fri) early enough to travel back home.